“I think it is very important to understand this: genuine philosophical commitment, in situations, creates a foreignness. In a general sense, it is foreign. And when it is simply commonplace, when it does not possess this foreignness, when it is not immersed in this paradox, then it is a political commitment, an ideological commitment, the commitment of a citizen, but it is not necessarily a philosophical commitment. Philosophical commitment is marked by its internal foreignness” (Badiou 2009, 25-26). While this statement would deserve its own treatment, its own commentary and its own critique, we may retain from it that philosophy and foreignness are sister-concepts, are two notions that should be addressed together, in a similar manner, as two parts of the same whole or even perhaps as two ways to name the same thing. One could even say that foreignness and philosophy speak the same language. Here we are: philosophy, foreignness and language. 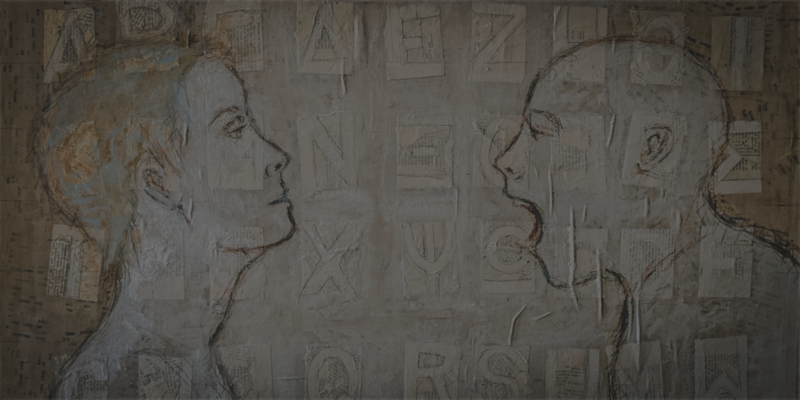 By embracing both a desire to express, and one that accepts the linguistic limitations, I initiated this study already at the plane of philosophy: language. My foreign stories and philosophy use the same medium: language. A final question, a conclusion of a sort, would be to ponder not on the philosophy of foreignness, or the philosophy as foreignness, but on the way philosophy has been able, through the course of this essay, to tackle the question of foreignness. This is not necessarily the ‘symbolic’ or ‘ideal’ foreignness (as in “chess is foreign to me”); it can be, and it has been used in this paper, its most common usage: foreign country, foreign culture, foreign language. Foreignness, as a concept, does not have to be related to geographical and geopolitical matters, but it is an aspect of this term that deserves attention. When foreignness is contextual, historical, happening at a time and in a place, it becomes the experience of a foreigner, an individual who decides to reside in a country that is not her native one. How far can philosophy accompany the exiled in this migration? Our study has revealed some of the insights that Heidegger, Merleau-Ponty and Derrida, and by extension, the traditions of philosophies, can bring to the everyday question of a foreigner. But do these inputs really matter? Are they actually used? A foreigner is not necessarily addressing his experience in a reflexive, and linguistic form. One can bear witness of her experience as a foreigner in non-linguistic forms. Language is already a specific form of event: it is a medium of expression (unlike the foreigner’s daily walk in a park) and it is linguistically bound (unlike the foreigner’s expression through photography or drawing). All such actions of the foreigners attest of her experience as foreigner; some come out of herself as a desire of expression of that experience; and within them, one particular medium has specific, linguistic limitations: language. By embracing both a desire to express, and one that accepts the linguistic limitations, I initiated this study already at the plane of philosophy: language. My foreign stories and philosophy use the same medium: language. Is philosophy helping, or even contributing to the foreigner’s foreignness? Certainly, Heidegger confirmed foreignness as the authentic life; Merleau-Ponty insisted that the foreigner’s language confirms his identity as foreigner; and Derrida echoed the call for hierarchical disruption between the foreign and the domestic. But the three of them come as a posteriori commentaries, justifications, explanations of foreignness, in the language of philosophy. But is it so necessary to the foreigner? Even if foreignness resides mostly, or initially in (a foreign) language, does this mean that philosophy, also language-based, has its word to say to the foreigner about her foreignness? That philosophy should partake to this confused dialogue of non-foreign and foreign languages? What more can philosophy bring to a foreigner’s primary experience? If philosophy requires distantiation and perspective, time and wisdom, then the philosopher necessarily needs to take time and space from his immediate experience. Doing so, the philosopher steps away from the urgency of his living condition; he risks to build a world of his own and inhabit Heidegger’s inauthentic life and Sartre’s mauvaise foi. A foreigner places her foreignness between brackets when she philosophizes about it. The foreigner is not foreigner if she seeks settlement, non-disturbance, sedentariness, be it even in the form of conceptual settlement, of intellectual familiarity. Because the foreigner is not, and cannot be, by definition, at home. The foreigner risks the temptation of looking for settlement, that is, of parting from her foreignness, when she philosophizes. Can a foreigner be philosopher?